When the band Busted are mentioned it’s often hard to overlook their pop-enthused radio-friendly rock hits of the early 2000s which dominated the airwaves and captured an entire generation’s hearts. The three-piece have had quite a ride since their inception, with a infamous breakup, hashed comebacks in the form of McBusted and, the underappreciated return effort – Night Driver. Bold statement? Perhaps. But, not one without justification – the album begins with the anthemic Nineties that serves as a time capsule back to better times, reminiscing about everything from the Goonies to Oasis and Nirvana. The chorus of this track is at the very top of the band’s catalogue and guarantees multiple repeat listens as the trio’s vocals wriggle and thrive between your ears. 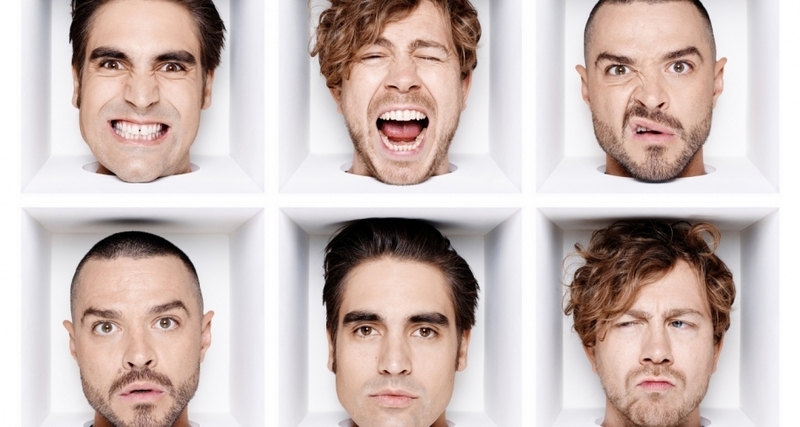 Busted have grown up, that is for sure – however, the band haven’t forgot what made them relevant and ultimately, popular. A sentiment touched upon when Simpson, Bourne and Willis wail “We’re not old / But we’re not as young as we used to be / Half way to obscurity” in the acoustic love letter, All My Friends, to their fanbase that touches upon the band’s belief that this is where they’re meant to be. Race to Mars and Reunion tap into the expected Busted hymnbook by offering familiar glimpses alas 2003’s A Present for Everyone, but with a rejuvenated vigour that sits comfortably among the very best of 2019’s pop punk royalty. What Happened To Your Band? Is a eulogy for the Busted of old – penned by James Bourne following on from the era-defining breakup of the three-piece, a triumph in songwriting as Bourne cuts himself open and exposes his headspace at that time for all to see. I first fell in love with this song when it was originally on MySpace under Bourne’s then band ‘Son of Dork’, then came the re-recording for McBusted and finally, as it was always meant to be heard we now have the Busted version. This alongside Radio serves as the highlights of the album for me, the perfect ode to a band of where they came from, who they were and who they are now. As a side note – Radio could quite possibly be one of the best singles to come out in 2019 – fight me. In conclusion this is a band who have made amends, not only with themselves but also their sound – Night Driver was an important venture into the wild and shone brightly in places but the trio have found their path, reigniting their desire, chemistry and talent to produce an album that will catch a lot of people of guard, and one that will define them all the way to the year 3000.